Former Vice president Atiku Abubakar and presidential candidate of the People’s Democratic Party (PDP) has warned Vice President Yemi Osinbajo against attempts to distort history for political expediency. Atiku said this in reaction to Osinbajo’s comments on restructuring. Osinbajo had fired the first salvo on Saturday, at the University of Ibadan, where he spoke at the ninth public lecture of Sigma Club, when he said some of those clamouring for restructuring were those who opposed his and others efforts years back when they were in government. “Let me explain my position clearly. I am not just an advocate of restructuring, there is no other government in Nigeria that has actively pursued restructuring such as we did when I was Attorney General in Lagos State. “People talking about restructuring, if you ask them what they meant by restructuring, they won’t even know what it means and that is the problem we have to face. “We started with fiscal restructuring, which is more of resource control. Should states control their own resources? We went to the Supreme Court. They argued that each state should control its own resources. “The states that argued in favour of autonomy for states to control their resources were the oil producing states and Lagos State, while some others argued on the other side because they want to share oil money. He said Lagos State further argued that it had ports and they served the entire nation, so the state should also take 13 percent derivation which the Supreme Court objected. “All this time, this was 2000, some of those people, including the presidential candidate of (the) PDP, who is talking about restructuring, (and) was the vice president then, they opposed every step we took. Of course, we were taking the Federal Government to court then. They opposed every step. “The next thing we did was that the states should be able to create their own local governments, which is autonomy of states. “So, we created 37 new local governments in Lagos. The president then, Chief (Olusegun) Obasanjo, seized our local government funds and said we could not create new local governments. 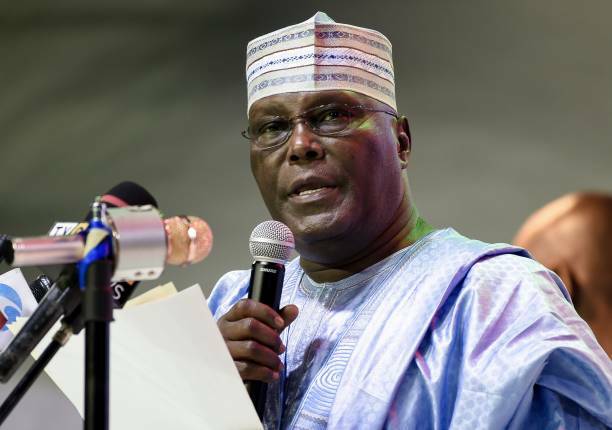 But in his response, through his Presidential Campaign Organisation, Atiku said: “Given that restructuring has become the major issue in the 2019 elections and given that Prof. Osinbajo and his boss have been speaking discordant tunes on restructuring, we can understand their desperation to revise history. However, it is impossible to revise documented history. “To set the records straight, we recommend to Professor Osinbajo the article, ‘Nigeria: 6-1 Onshore-Offshore Jurisdiction Verdict’ written by Jide Ajani, then the Political Editor of Vanguard Newspapers and published on July 13, 2001. In that piece, which is still available online (see Nigeria: 6-1 Onshore-Offshore Jurisdiction Verdict), Vanguard newspapers chronicled Atiku’s successful efforts to restructure the revenue allocation formulae; to allow littoral states of the Federation benefit from offshore oil proceeds. Ironically, it was precisely Osinbajo’s boss, Muhammadu Buhari, who, as military dictator, cheated these states of their just due by military fiat. is still available at the Office of the Secretary to the Government of the Federation. Professor Osinbajo may want to familiarise himself with that document. “The question we want to ask Professor Osinbajo is this–why do he and his boss constantly resort to rewriting history? Why can they not campaign on their achievements? Is it that they are forced to campaign on subterfuge because they have no achievements to campaign on? “President Buhari and vice president Osinbajo promised to make one equal to $1. They vowed to create three million jobs per annum. They promised to pay the unemployed “job seekers allowance.”They said subsidy was a scam. They also said they would defeat Boko Haram. “Nigerians want to know if these promises have been kept. They are not interested in fairy tales about how Atiku Abubakar did not support restructuring because they know that he is and was and will always be an active promoter of restructuring. “Everywhere he goes to campaign, Atiku Abubakar has used temperate and respectful language on both president Buhari and vice president Osinbajo. He has campaigned on his record of achievements, which include the 50,000 jobs he has created in his private capacity and on his policies and plans to Get Nigeria Working Again.